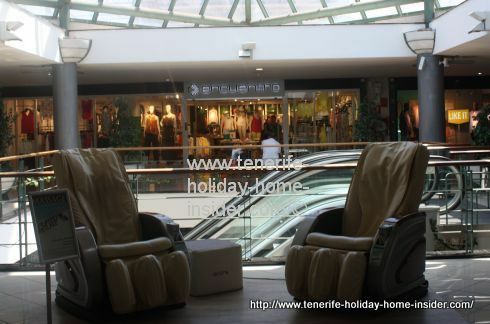 Piramides Martianez Mall Tenerife shopping is different but tops. 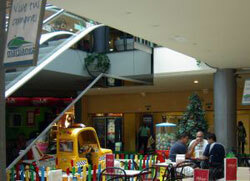 The Piramides Martianez Mall shopping in Puerto de la Cruz is not only very convenient. Piramides Martianez shopping in Tenerife. Underground parking to avoid street parking penalties. Opening hours every day 10a.m.to 9.30p.m.and on week-ends from 10a.m.to 9p.m. This new park a so called Parque Infantil Drago Siam Park2 looked very promising in May 2016. 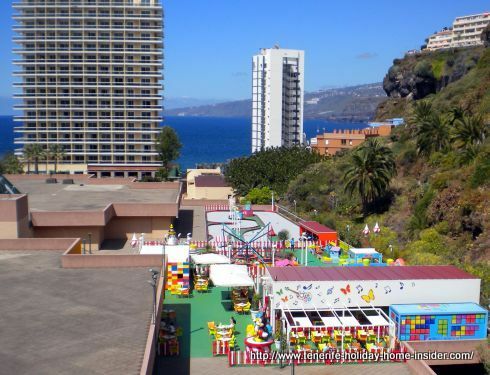 However, the bigger fun fair by the free Puerto Cruz Parking ground steals its show during the long summer holidays. The park's following photos speak for themselves. Children Park Martianez Drago Siam Park2. 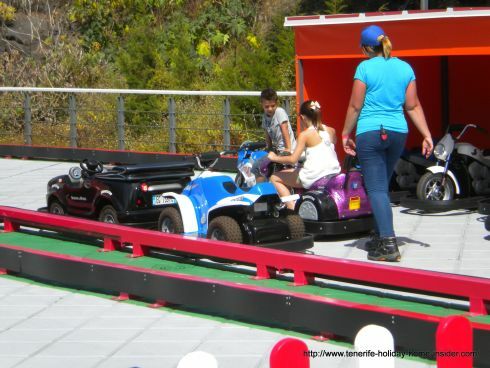 Martianez Tenerife ocio by mini funfair. Mini carts on the Martianez mall roof. 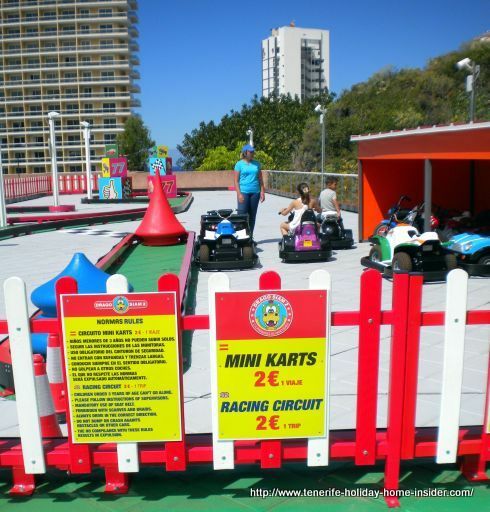 Racing circuit for mini carts in Tenerife. Drago Siam Park 2 of the Martianez Mall. 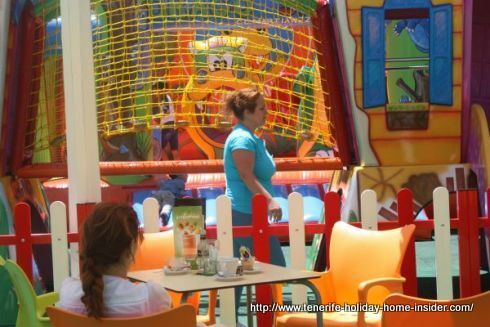 Obviously, this children playground or park is ideal for parents who shop in the mall. 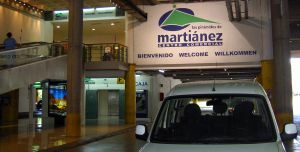 More than one logo Centro Comercial Martianez is displayed at the mall, such as this one underground by the terminal for hotel buses. A time table for the hotel shuttle transport hangs on a wall. 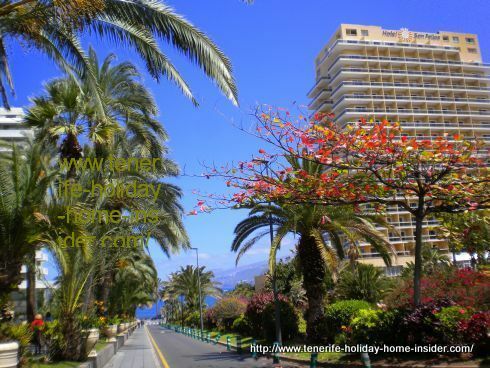 Most hotels that are not in the Puerto Cruz hub have such a service. Logo Centro Comercial Martianez a brand. Cafe Roma with Stairs to hotel bus terminals. The Martianez Mall has three levels. It's light and spacious. You can do its rounds within 15 minutes easily these days, as more than half of its 60 outlets have been closed since 2009. The Recession isn't the only culprit. 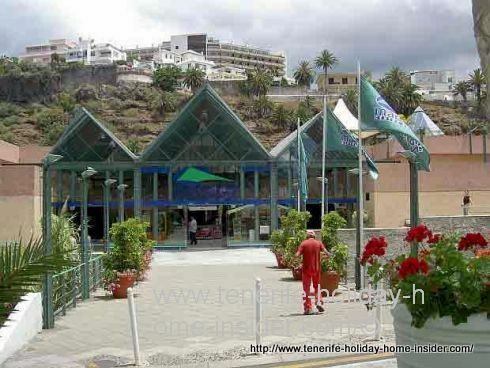 They say that people opened shops at El Trompo of La Orotava instead. Why? Much cheaper rents. 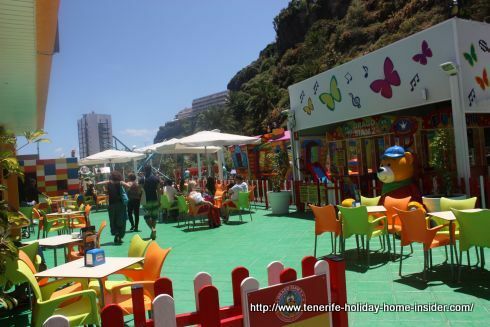 Pop into the following shop for gifts to take back overseas instead when you are in Masca. 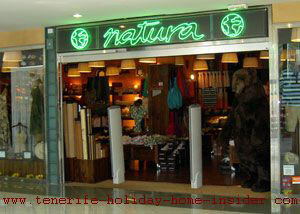 Martianez Shop Natura of Puerto de la Cruz. Massage chairs for hire at Piramides Martianez. Stradivarius Spanish fashion where rebates start in June. Stradivarius belongs to the Inditex group just like Zara Tenerife. Boutiques are left that sell clothes, sports goods, shoes, leather goods, cosmetics, jewelry, tobacco articles, beach wear, designer perfumes, dried fruit and sweets per weight, toys and more. They all give you good customer service even on a Sunday. There are fashion chain stores, such as Springfield, a Burger King opened recently. More of this downtown mall is listed here. La Licoreria which had fantastic sweet souvenirs is memory now. Most important at the Piramides of Martianez is its Mercadona Supermarket which I highly recommend for fresh fish, especially the one in season. Unfortunately recently, Mercadona business hours on Sundays have stopped. Shopping there for Euro 20 buys you free underground parking at the mall. 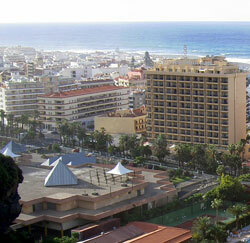 Many have their groceries delivered to their door steps by Mercadona for Euro 5. Tourists at the very popular Casablanca Apartments often do so too. 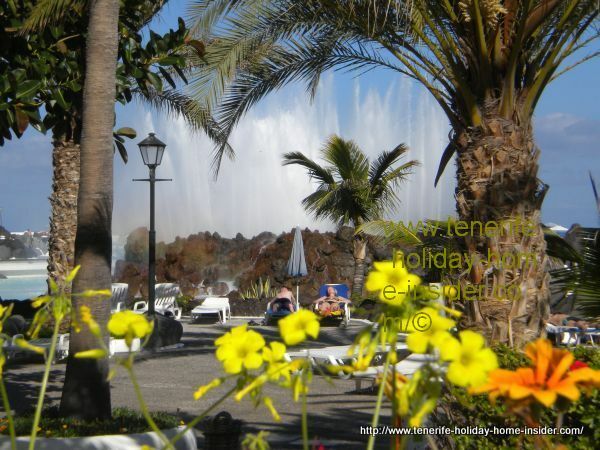 Lago Martianez with huge fountain. Calle de Aguilar y Quesada. 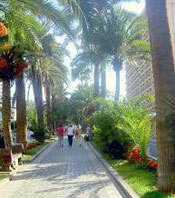 From Piramides Martianez back to Tenerife shopping Puerto Cruz with a link for the entire island.